During the course of research into craft cider in Wales, I keep hearing the word ‘commercial’ used by the crafters. It is a common term used by craft cider makers operating at a range of scales, from garden cider makers to cider makers with successful ‘commercial’ businesses. 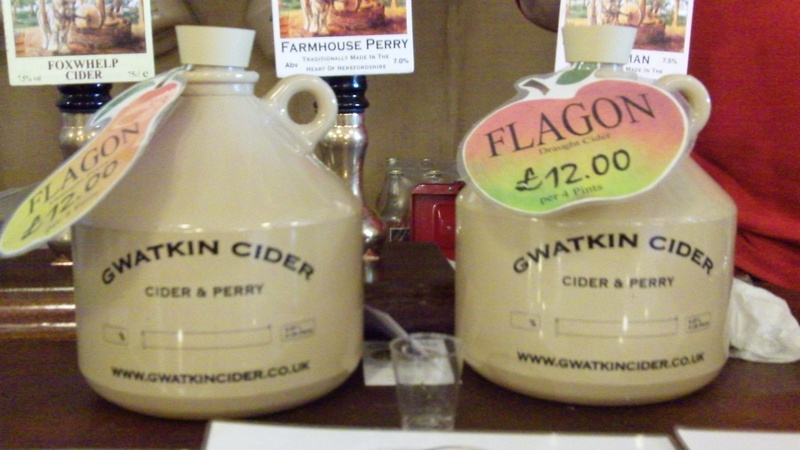 ‘Commercial’ is typically used to differentiate between a craft cider maker and a larger scale cider maker. For instance, I have never heard someone refer to a smaller operation as ‘commercial’. It appears however that cider makers mean something very specific when they talk about ‘commercial’ cider. What is interesting is that the term ‘commercial’ in that context doesn’t really apply simply to someone making money from the cider they produce. Many craft cider makers do make money from it, and certainly very few (if any) pursue it as a hobby where they make a loss-even if they don’t sell their cider, they still have lots of cider! A cider-maker’s commercial success, in terms of winning awards for their cider, isn’t an indication of commercial-ness either. Though many reject the idea of commercial, they are certainly competitive. The annual Welsh Perry and Cider Society festival is really a cider contest. Even so, many cider makers have reported a reluctance to ‘go commercial’ after winning awards or gaining notoriety for their drink, and most simply refuse to sell in supermarkets in spite of how popular their cider has become. It would seem then, that the term ‘commercial’ when applied to cider making refers to a lot of things, but is generally a shorthand way to say ‘not craft’. Being commercial is not about money and it is not about popularity or success. Even some of the largest scale craft cider makers in Wales aren’t really called ‘commercial’ by their peers, these are sometimes referred to as ‘the big boys’, and sometimes, ‘at the more commercial end’. What is really striking is that the point at which a cider maker becomes regarded as ‘commercial’ is when they start adopting techniques that do not fall into the broadest agreed characteristics of a craft cider, such as using 100% juice (and though there is less overall consensus on it, additive free). Money, fame, awards and competition are not incompatible with craft cider, and so we must agree that ‘commercial’ means something very specific in teh world of Welsh craft cider. Elaine is Research Assistant on Consuming Authenticities and a research student in the Department of Anthropology at Goldsmiths. Her research focuses on west Wales, and the interplay of environment, economy and development planning through the example of alternative “eco-communities”, the practice of “low-impact” dwelling, and the encounter between environmental activists and the state. I am currently doing some researches in Quebec on cider production. Here, the term “commercial cider” refers to the product made by cider makers who hold a “commercial” permit. The irony is that producers can hold both permits: crafter and commercial. This will able the to sell in different places. Now, the oral use of the terms may be different, and, generally speaking, the term “commercial” has a pejorative sens to it. Thanks for your comment Anais, this is very interesting to hear. From what I gather, you’re saying that the distinction between craft and commercial is also made in Quebec in official terms, but that producers can have both permits? I agree that seems ironic. And what do the producers say? Do they see any ethical issue with a producer holding both permits? My feeling is that in Wales craft cider producers would rather think that craft and commercial were mutualy exclusive in site of any permit! I will have to ask a Welsh ecider maker what they think of the Quebec system.